It’s that time of year again. 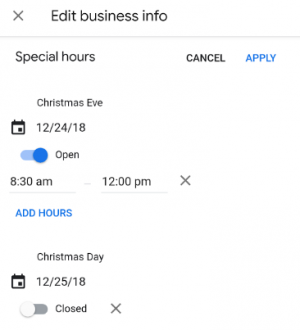 You want to showcase the hours you’re open over the holidays while making sure you get the time to celebrate with your own loved ones. 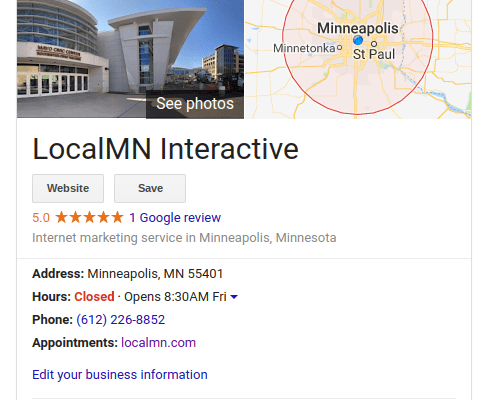 Providing special hours in you Google My Business (GMB) profile does this for people using Google to find this info. Also, you can do this on your smartphone on the fly. 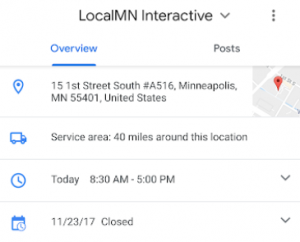 Go to your favorite local coffee shop, sip and sit for 5 minutes, and your special hours are set up. A nice thing about this is after you set it up, it automatically goes away after your dates of special hours. No follow up needed!